The first iteration of the INGAME Esports South Asia Cup took place on the 7th, 8th and 9th December 2018 at the Sri Lanka Exhibition & Convention Center. 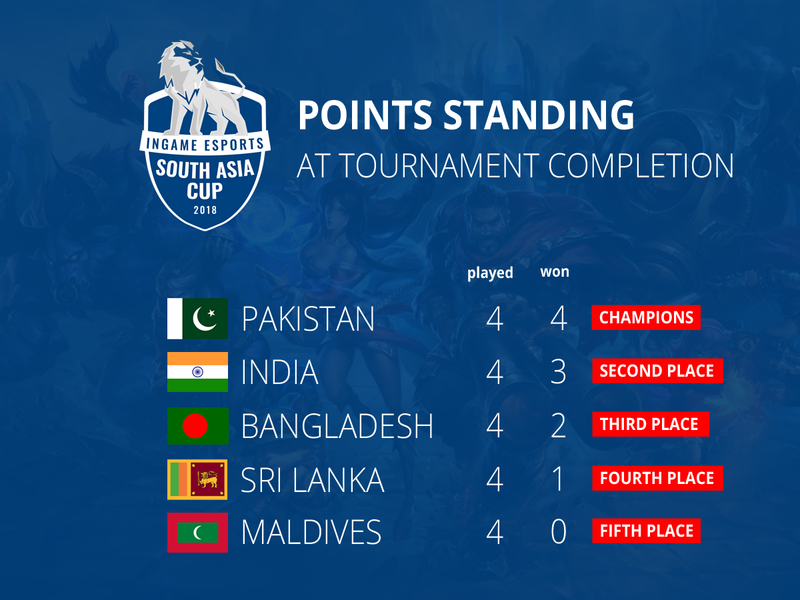 The League of Legends championship brought together the best teams representing five South Asian countries – Bangladesh, India, Maldives, Pakistan and Sri Lanka. The championship was played in a round-robin format with each team playing every other team, and the top 2 from the group playing a grand-finals for a total prize pool of USD 5,000. The Pakistan Esports Federation in association with the Sri Lanka Esports Association held local qualifiers in order to choose the best League of Legends team to represent the country. Portal Esports emerged as country representatives and went into the IGE South Asia Cup as favorites, following their clean sweep at the Asian Games regional qualifiers. Portal completed the event without conceding a single game, including a 2-0 clincher in the grand finals that saw them walk away with USD 3,000 to their name. 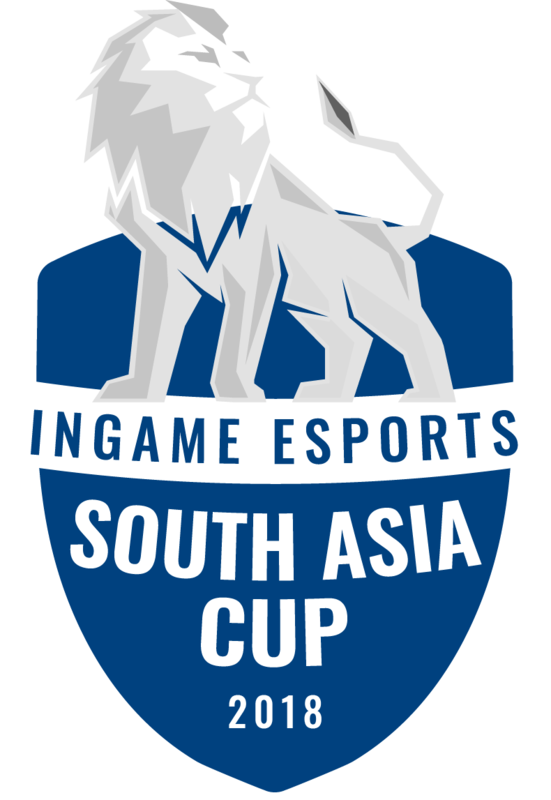 Following their performance at the Asian Games, Ruthless Gaming was given a direct invite to take part in the IGE South Asia Cup. The team was acquired by Indian Esports juggernaught Entity Gaming and played under their banner in Sri Lanka. Entity Gaming secured a solid second place slot by beating all teams, with only Portal denying them a win. The team took home USD 1,500 for their runner-up placement at the championship. The big variable in the tournament, Bangladesh hadn’t taken part in the Asian Games this year and therefore their performance could not be predicted by analysts. Esports veterans Red Viperz Gaming received a direct invite to take part in the championship. Bangladesh finished in third place by winning their games against Sri Lanka and the Maldives, taking home USD 500 for their efforts. The Sri Lanka Cyber Games championship was used as a qualifier to pick the best Sri Lankan League of Legends team to represent the country at the IGE South Asia Cup. Team Lanka Lions from local clan Phoenix Gaming won the qualifier and proceeded to play the rest of the countries on day 2 onwards. Sri Lanka came in 4th place, losing to Pakistan, India and Bangladesh, and winning against the Maldivian team. Being a young team, Lanka Lions are expected to make a strong come back at next years international events! The youngest team playing at the IGE South Asia Cup, Ranna Maari Esports were chosen by the Maldives Esports Association to represent the country at the IGE South Asia Cup. Consisting of 5 fresh faces with no previous international experience, Ranna Maari Esports put in a strong showing for their first time outside of home.